The use of postcards carrying an illustration or photo on one side and then a place to write a brief message on the other side has been very popular for nearly 150 years. Ever corner of the earth has had postcards produced to showcase a town, street, business, shop, groups, attraction, an individual’s home and even individuals themselves. What a wealth of information with the photo and any information provided on a postcard. As has been stated, it is like holding history in your hand. 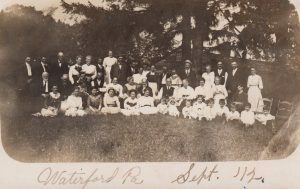 So you want to check any family postcards your relatives may have. True, many will be of places they have visited, but also read any info on the back, may have unknown details provided. Next start searching other collections of postcards. Go to thrift shops, garage sales, flea markets, antique shops and shows, and especially online auctions (such as eBay). Those big online auctions and for sale sites will have postcards from all locations, you never know what might be located. An example recently was a 1930 postcard of an individual’s winter home in Stuart, Florida. It was a great low aerial image of the house and property along with some information written by the owner on the back. It was never mailed, but did turn up on eBay some 87 years later. For the historical museum in Stuart, it was a treasure to have the newly found postcard from a former resident, who happened to be a well-known artist, and a photo of their house originally built in 1917. The house no longer exists and this is the only known photo of it. The use of postcards across the world was really popular from 1900 to 1940. Imagine that span of time and what might exist relating to an ancestral hometown, business or even the family. On the ‘Old Postcards‘ site, they have a listing of postcards from different countries. They also have categories such a historical figures, actresses, sports, military, etc. Clicking on the USA category, it also covers Canada. Use the search box to the right side to narrow the search. Start with a specific state. This site, all the postcards are for sale at a fixed price. 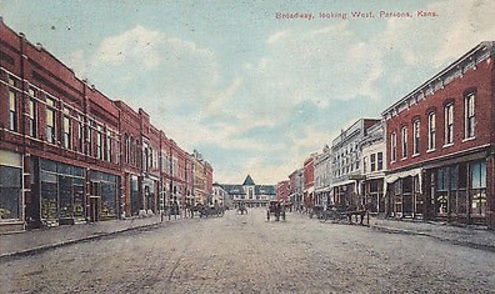 With the online site of eBay, their selection of postcards are always changing, each card usually available either as a sale price or auction for 7 to 10 days. Using this ‘Collectibles – postcard’ category it is further narrowed to towns, states, holidays, people, animals, etc. A typical example of the number of postcards just for USA states and towns available was 1.4 million. All types of scenes, places and time frames will be available. You might locate an image of the family church, the school, city hall or a family business. 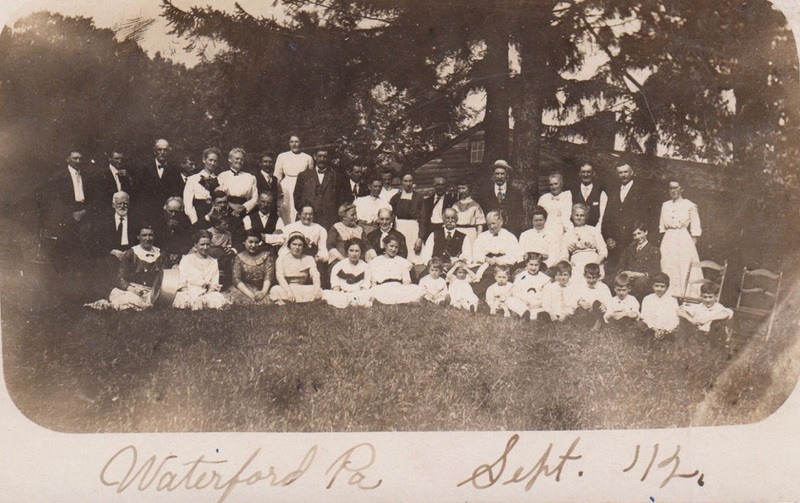 You could really luck out if a postcard was of specific family members, or a family reunion. There many possible postcards to view and collect. 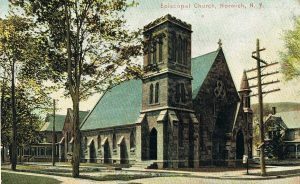 Photos: 1908 card showing Parson, Kansas and Broadway St.; 1920s Episcopal Church in Norwich, NY; Sept. 1912 family reunion in Waterford, PA.